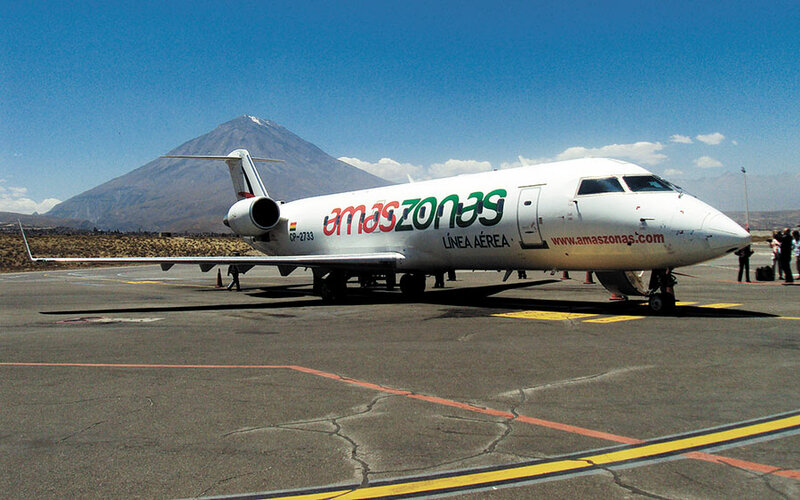 Amaszonas is the fastest growing airline in Bolivia and Latin America, the airline operates to all major cities in South America: La Paz, Santa Cruz, Cochabamba, Sucre and Tarija. Besides two important tourist destinations: Rurrenabaque, which is the gateway to Madidi National Park, the largest protected area biodiversity in the world. Uyuni, which houses the world's largest salt flat. We also offer the best links to Cuzco and Arequipa in Peru, and Asuncion in Paraguay from May to Cuiabá, Campo Grande and Brasilia in Brazil. The flights are operated by Jet Canadian-made Bombardier CRJ 200 aircraft with capacity for 50 passengers. It is a modern aircraft used by over 40 airlines worldwide. The company has 15 years of work in Bolivia with a clear mission which is "To promote tourism and national and international integration, transporting passengers, cargo and mail, safe, responsible and timely manner, providing quality service through itineraries range of frequencies. "